In his address to the 2010 TIME/Fortune/CNN Global Forum, Equatorial Guinea President Teodoro Obiang Nguema Mbasogo committed to investing in the country's various social development programs and vowing to enhance the existing Social Development Fund that uses oil resources for the benefit of the people of Equatorial Guinea. "Through this Fund, we are investing in our children, our schools, our teachers, health care, tourism, housing, potable water supply, road infrastructure, telecommunications, development of natural sciences, job creation and development of democratic institutions. In short, we are increasing investment in our most valuable resource: our people," President Obiang said in his speech. President Obiang also promised to better communicate the country's statistics so that the international community is better informed on what Equatorial Guinea is doing and where money is being spent. In 2009, the Government made expenditures in excess of one billion dollars to develop the social sector, including investments in health, education, and housing. Equatorial Guinea has already made significant progress in various areas including education and health. A national university has been created, the first university with campuses in Malabo and Bata, with programs in arts and social science, medicine and the environment. In 2008, the Medical School graduated 110 new physicians in Bata. Scholarship programs have also been established with universities in the United States, Cuba, China, Morocco, Russia, Ukraine, Egypt and Senegal. In regard to health, President Obiang described two new modern hospitals with advanced technology in Malabo and Bata that opened to prevent the need to transfer patients to Europe and the renovation of old hospitals to protect the health of the population. The Government has also partnered with businesses such as the Hess Corporation and the Academy for Educational Development (AED) to establish an education program of $40 million to train teachers in modern techniques of child development. And the literacy level has been raised to 80 percent thanks to a number of cultural and literacy organizations that have come to Equatorial Guinea. 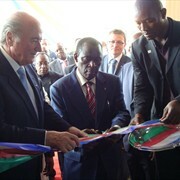 In his speech, President Obiang vowed to continue these programs and create new ones to change the country's makeup. This is part of a greater effort by President Obiang and his Government to reform and move the country forward. Equatorial Guinea (Republica de Guinea Ecuatorial) President Teodoro Obiang Nguema Mbasogo promised accountability and transparency in an historic speech at the 2010 Global Forum in Cape Town, South Africa. President Obiang also expressed his intention to use oil resources in compliance with the rules of the Extractive Industries Transparency Initiative (EITI). "We will continue trying to qualify as a candidate for compliance with the rules of the EITI, while unilaterally establishing policies to exceed EITI auditing standards and do more than is necessary to ensure that transparency and accountability are as mandatory for the Government as they are for civil society," President Obiang said in a speech to world leaders, CEOs and media. "We believe this is a shared responsibility for everyone." President Obiang vowed to continue building upon reforms established in 2008 and to move the country forward in full compliance with international standards. "We have voluntarily decided to do so, not for international merit, but by our conviction that it is a discipline that will ensure full compliance with the recommendations of the II National Economic Conference," President Obiang said. Equatorial Guinea has made significant progress in the areas of transparency, accountability, social services, health and education and is committed to continue these reforms. "We have made a commitment to the People of Equatorial Guinea and we solemnly announce this commitment to the world today." Equatorial Guinea (Republica de Guinea Ecuatorial) President Teodoro Obiang Nguema Mbasogo met with religious figure and Nobelist, Archbishop Desmond Tutu on a recent visit to Cape Town, South Africa for the 2010 Global Forum sponsored by TIME/Fortune/CNN. The private meeting between President Obiang and Archbishop Desmond Tutu lasted about half an hour. The two met before President Obiang's historic speech in South Africa that outlined a five-point reform and transparency program for Equatorial Guinea. Numerous world leaders, including former U.S. President Bill Clinton, and hundreds of international businesses leaders and investors assembled in Cape Town for the three-day event. During the meeting, President Obiang and Archbishop Desmond Tutu discussed various issues, including African current affairs. Most importantly, it was an opportunity for the two to meet each other personally and discuss the possibility of future meetings and collaboration. Archbishop Desmond Tutu is world famous for his fight against apartheid, and for being the first South African that was ordained as an Anglican Archbishop of Cape Town. He was awarded the Nobel Peace Prize in 1984. 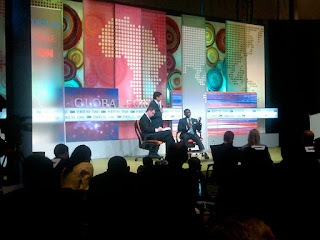 President Obiang delivered this historic speech at the 2010 Global Forum in Cape Town South Africa on June 28, 2010. I would like to begin the presentation of my country, the Republic of Equatorial Guinea, by expressing our deep satisfaction and the honor we feel to be surrounded by eminent and distinguished world leaders of politics, economics, trade, culture and defenders of human freedoms. I would like to thank Fortune, Time-Warner, CNN, and all the sponsors of this conference including Trilogy Enterprises, Guinea Roth, Steve Roth, and the entire Roth Organization for working with us and providing us this opportunity. Indeed, this conference is an opportunity that is presented to the business world to get to know each other, exchange experiences and contribute to understanding humanity’s progress. I would also like to thank Lanny Davis for working with me in the cause of the reforms we have undertaken with enthusiasm for the people of Equatorial Guinea, following its uncertain path during the two centuries of colonial oppression and the repression of an eleven-year dictatorship. Lastly, I would like to thank all attendees for their participation and invite them personally to visit the Republic of Equatorial Guinea, a country that many only know by an uninformed press. Hardly any of you has been able to compare the information you hear about my country with information you would collect on the ground that would give you a correct perspective of the real evolution of my country. Most important of all, I extend a formal invitation to business leaders around the world to invest in and engage with my government and other partners operating in the country in the grand plan for its development. By 2020 we aspire to become an "emerging" country. Today, all of Equatorial Guinea is a worksite in which capital and technology from around the world participate without discrimination regardless of origin. Our objective is to create an atmosphere of peace, political stability, legal and administrative institutions, and transparency in government. We are confident that this objective is attainable with the reforms we are introducing, because we have wealth consisting of our people’s positive cultural values, our natural resources, and our determination to complete the program of reforms that began with the recommendations of the II National Economic Conference held in Equatorial Guinea in 2007. These reforms include basically promoting an environment of political and economic freedom, building trust between the Government and the various political forces of the nation, respecting the rule of law, and promoting consensus and the solidarity of all political actors to protect the interests of the people. We also want to create trust with investors and provide fair treatment and opportunity to enjoy a reasonable rate of return. As you all know, it has been years since my government ended the dictatorship of a regime that had wiped out what little intellectual and political class we had when we obtained independence, ruined our economic infrastructure, employed taxation and degrading methods against the population, thus bringing about foreign exile for one third of our people. Today, the majority of them have returned to our country and find themselves among us. In 1995, Equatorial Guinea declared itself for the first time a producer of oil, after a fruitless effort lasting 12 years at the end of which Spain declared that Equatorial Guinea had no oil. The discovery of oil in 1992, thanks to a North American technical team, was severely criticized by pressure groups living in Spain who wanted to continue the punishment against Equatorial Guinea, even when the Government had initiated a program to transition to a multiparty system in 1989. In difficult circumstances since 1989, and without economic resources, the Government launched a multi-party political system, with 14 registered political parties. The Government itself provided public financing of all political parties under the law and promoted a permanent dialogue through the Binding Political Accord signed with all political parties of the opposition. The First National Economic Conference held in 1997, shortly after declaring the country an oil producer, was aimed at the rational use of oil resources. Positive experience with the resulting Program caused us to hold the Second National Economic Conference in 2007, which gave rise to reforms on which we are committing at this conference to redouble our efforts. We know that the task is not easy and we have a long way to go, because this is about developing a country that started from nowhere. It is about changing mindsets rooted in underdevelopment, and banishing habits that are opposed to modern development, such as corruption, illiteracy, tribalism, political opportunism, and on and on. Our program seeks to capitalize on a society that is economically dispossessed. It is about enriching a society with a technical and scientific culture, with patriotic feeling; about cultivating new habits from new technologies for development facilitated by regulation. In short, it is about creating a new society in which freedom, democracy, and justice are interpreted as ensuring the common good of consensus and the solidarity of the People in the task of Nation Building. However, we must remember that Equatorial Guinea is a relatively young nation, inexperienced and, just like a ship, our comprehensive program of reforms will take some time to turn us around, in time for what is called Horizon 2020. Our reforms have been underway and reinforced since 2008. We have made a commitment to the People of Equatorial Guinea and we solemnly announce this commitment to the world today. We will continue to use the resources that we are provided by oil, natural gas and other extractive industries in compliance with the rules of the Extractive Industries Transparency Initiative (EITI) headed by Dr. Peter Eigen. We have voluntarily decided to do so, not for international merit, but by our conviction that it is a discipline that will ensure full compliance with the recommendations of the II National Economic Conference. Dr. Eigen has informed us, through our technical advisors, that he is willing to commit his personal credibility to this effort with Equatorial Guinea, including visiting our country if circumstances require. We will continue trying to qualify as a candidate for compliance with the rules of the EITI, while unilaterally establishing policies to exceed EITI auditing standards and do more than is necessary to ensure that transparency and accountability are as mandatory for the Government as they are for civil society. We believe this is a shared responsibility for everyone. The computerization and digitization of public and private administration is absolutely indispensable to ensure effective government regulation of economic activity. - We have established a Social Development Fund and we are prepared beyond that to use the resources of oil and other natural resources for the benefit of our people. Through this Fund, we are investing in our children, our schools, our teachers, health care, tourism, housing, potable water supply, road infrastructure, telecommunications, development of natural sciences, job creation and development of democratic institutions. In short, we are increasing investment in our most valuable resource: our people. Tourism ... US$5,107,000 to US$10,214,000. 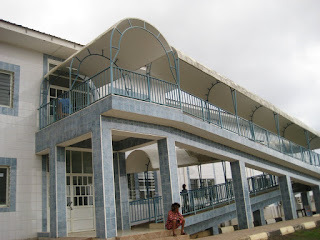 - We have created a National University, the first university with campuses in Malabo and Bata and has the Faculties of Arts and Social Sciences, Medical Science and the Environment, in addition to the University Schools of Management, Teacher Training, Agricultural Studies, Technical Engineering, Health and Environment. In 2008 the Faculty of Medicine graduated 110 new physicians in Bata, Equatorial Guinea. - We have established scholarship programs with Universities in the United States, Cuba, China, Morocco, Russia, Ukraine, Egypt, Senegal, and others. Graduates are hired by the Public Administration. - We have opened two modern hospitals with advanced technology in Bata and Malabo to prevent the need to evacuate patients to Europe, and others are in the planning stages. The renovation of old hospitals is going on throughout the country to ensure the health of the population. - The Government has also partnered with business and others, such as the Hess Corporation and the Academy for Educational Development (AED) to establish an education program of 40 million dollars to train teachers in modern techniques of child development. This is going on across the country. - In recent years a number of cultural and literacy organizations have come to our country, and we have reached a literacy level of 80 percent. - We will invite a delegation from the African Union to help us review and continue the reforms we have already initiated of our legal institutions, and to prepare and adopt a new legal code that drives the country into the future and ensure judicial credibility. - Press freedom is guaranteed by law. Accordingly, we have the Free Press Association of Equatorial Guinea (ASOPGE). The Government will take measures to support the financing of their activities to allow it to act with independence and freedom. - The Government will invite the International Red Cross to install its headquarters in Equatorial Guinea and assist in reviewing and assessing all allegations of human rights violations in the country. We will also ask for your help in monitoring our Criminal Justice System and prisons to ensure the humane treatment and appropriate for those convicted of crimes. In this regard, we report that the Government has upgraded the jails and has adopted regulations and standards as an ongoing effort to meet international requirements. Equatorial Guinea is a member of the Commission for the Conservation of Forest Ecosystems in Central Africa (COMIFAC) and as such has been declared as a reserve in its forests and biodiversity protection zones such as Monte Alen (ECOFAC) and Ureca. We have reduced wood export to below that of oil exploitation. Indeed, the government asked the African Union to monitor and intervene in the activities of NGOs interested in the environment to ensure we have a program for preservation. - We will continue to take other protective measures already in place, such as the prohibition of hunting of monkeys and other endangered species. We will ask for assistance from interested organizations to support the population that is affected by these measures. I am sure many of you who have criticized us in the past for whatever reasons will retain your skepticism. Here I have not tried to say that all is well in Equatorial Guinea, but simply present what is available and what we aspire to achieve. We therefore ask the skeptics and critics to change their attitude, because it is not constructive. We ask for trust and faith in my government and Equatorial Guinea society, with a presumption of good faith, because this particular program is not mine, but rather, it came from consensus with the People and all political institutions. Evaluate us by our actions, not only by these words. Instead, verify our actions on the ground and by legitimate means and not according to the flow of news from negative sources, which are sometimes resentful, strident and full of sensationalism. We repeat that we have a long way to go to achieve this ambitious program of reform and transparency. In many ways we have to fundamentally change the course of our history and parts of our culture. It will not be easy. We ask for your patience, especially that of the community of NGOs from around the world. As we continue to develop our democratic society and the rule of law, we also hope to encourage investment. It is well-known that economic development can not be promoted unless it is adequately supported by a political basis for harmonizing society. This is why our government from a principle of action adopted a policy of ongoing reform, taking into consideration the dynamic nature of society and the tendency of the economy to fluctuate. This is the basis of the theory of "democratic experiment" that guides the political behavior of the society of Equatorial Guinea in the circumstances of the moment. Today, the economic situation requires us to make reforms. Besides oil, Equatorial Guinea has many natural resources including a tropical climate, fertile soils, abundant marine resources, deep seaports and airports. We hope to develop industries based on these resources, and we invite investors from around the world to consider the possibilities of working with us. Equatorial Guinea is a member of the Organization for the Harmonization of Business Law in Africa (OHADA). The stated purpose of this initiative is to facilitate and encourage both domestic and foreign investment in member countries. OHADA laws are exclusively related to companies operating in Africa. The OHADA Treaty has created a supranational court to ensure uniformity and consistency of legal interpretation of its rules by Member Countries. We believe this is an important step to encourage more international investment in Equatorial Guinea and our laws are consistent with those of the OHADA. I am aware of recent criticism against my government and even against my family. Many of these criticisms, based on hearsay and innuendo, and published without a full assessment of the facts, are not true. They do not refer to our promoting democracy, dialogue, good governance and economic development, peace, political stability, the good life of citizens and the influx of investments from different countries that are all going on in Equatorial Guinea. Critics should agree with me that in a regime of dictatorship and oppression public trials do not occur, death sentences are not commuted, and foreign terrorists and mercenaries convicted of international crimes are not pardoned, as occurs in Equatorial Guinea. A government that diverts state funds and practices corruption does not subject itself to parliamentary control, nor voluntarily agrees to audit and publish its accounts according to the rules of EITI. The allegation of a lack of economic freedoms is belied by the current competition for foreign investment in Equatorial Guinea. In short, esteemed Friends, these critics should agree with me that a government that does not care about human rights would not provide resources to mitigate the effects of natural disasters in the world, as in the case of Hurricane Katrina, the Tsunami, the famine in Niger, the Nigerian pipeline explosion, the volcano's eruption in Cameroon's Victoria Peak, or the explosion of the Chernobyl nuclear power plant, among many others. My government has provided such humanitarian support for the welfare of the world. However, I want to extend a friendly invitation to all these critics who visit the Republic of Equatorial Guinea, to observe reality, not by comments of circles and people influenced by unacknowledged fears and interests, but rather to live very closely people's reality. They all deserve my indulgence and that of the People of Equatorial Guinea. We want and expect to be treated fairly by the world community based on real events, with updated information, which is why we hope to establish a new census and evaluation, and not rely on old statistics. The critical report from Equatorial Guinea in 1995 remains in force today in the international media. We hope and trust that our actions speak louder than our words, while we embark on 10 years of reforms. We will not ask the global advocacy groups that have criticized us to look the other way and stop their criticisms, but we ask the international community to help us to help ourselves and help us implement this reform program so that we become partners with the world's democracies. We are members of the International Covenant of Political Rights, Economic, Social and Cultural Rights, and through our will and determination we will reach the fullness of these rights with existing financial resources and full participation of our citizens, so as to honor the democracy and human values. We know, again, this will not be easy. We must take into account that we are a country only 42 years old. But we are determined to move forward and progress, and we ask the world community and all of you to help us move forward, so that individual acts of progress can produce dynamic effects to create a better and more prosperous Guinea over the next 10 years , surpassing previous years. I will conclude, dear friends, noting that the society of Equatorial Guinea has a strong faith and hope in this initiative we have taken, and they are determined to participate in their entirety. We hope the future will give us the reason. 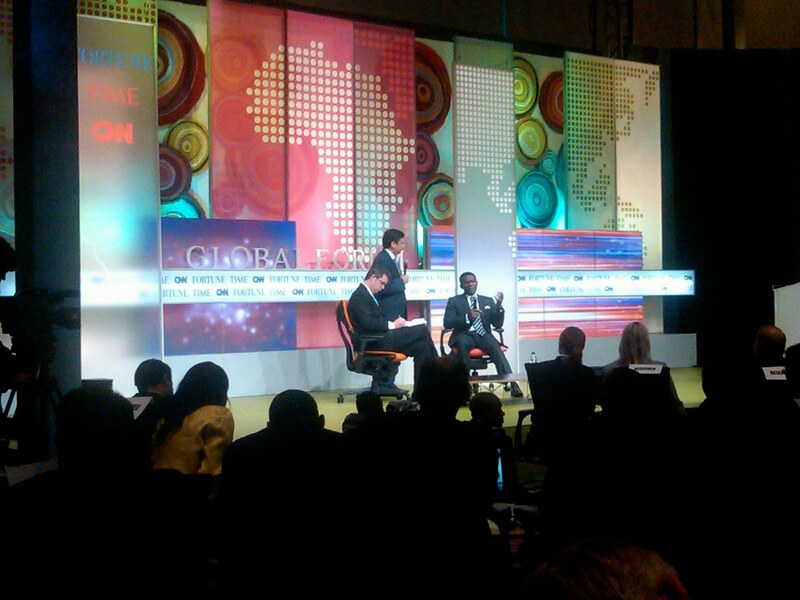 Equatorial Guinean President Teodoro Obiang Nguema Mbasogo, in a speech this afternoon before the three-day Fortune/Time/CNN Global Forum in Cape Town, South Africa, is announcing a five-point comprehensive reform and transparency program that he described as an historic “turning the page” in the history of his country. President Obiang committed himself personally and his government to implement this 10-year program in close cooperation with the world community, the African Union and non-governmental organizations (“NGOs”), inviting their technical assistance and cooperation. He asked his audience of the world’s business leaders to see this reform program as further reason to see Equatorial Guinea (“EG”) as a destination for investment and just and reliable treatment under a reformed legal system. • Extractive Industries Transparency Reform – Continuing an effort to qualify for membership of the Extractive Industries Transparency Initiative (EITI) and at the same time unilaterally instituting policies that would be in full compliance with the EITI criteria, doing more than necessary to ensure transparency and accountability. • Continue Comprehensive Legal Reform/Civil and Human Rights Protections. “Invite a delegation from the African Union to help review and continue the reforms we have already initiated of our legal institutions, and to prepare and adopt a new legal code that drives the country into the future and ensure judicial credibility.” The Government will take measures to support EG’s free press association, (ASOPGE) to allow it to act with independence and freedom. President Obiang, addressing an audience comprised of many of the world’s leading companies and business leaders, also emphasized his desire to make EG a business-friendly destination for investment, tourism, and the development of health facilities and research projects. “We hope to develop a variety of industries through these resources and we invite investors from across the globe to consider the exciting possibilities with us,” he said. The EG president pointed out that his country is a member of the Organization of the Harmonization of Business Law in Africa (“OHADA”), which facilitates and encourages both domestic and foreign investment in member states and which commits EG, by treaty, to a supranational court to ensure uniformity and consistent legal interpretations across the member countries. President Teodoro Obiang Nguema Mbasogo of Equatorial Guinea (Republica de Guinea Ecuatorial) recently returned from an official visit to Cape Verde where he was personally invited by Head of State, Pedro Pires. This was the President's first visit to Cape Verde. Among the topics discussed was the possible admittance of Equatorial Guinea to the Community of Portuguese Speaking Countries, something Pedro Pires and his government fully support. Tourism collaboration, civil aviation, airport security and job training were also addressed. Equatorial Guinea and Cape Verde have enjoyed a collaborative relationship since 1975. President Obiang was accompanied by the Minister of Transportation, Technology, Post and Telecommunications, Vicente Ehati Tomi, the Deputy Minister of Foreign Affairs, International Cooperation and Francophone, Eustaquio Nseng Esono and the Secretary of State for Culture and Tourism, Jose Mba Obama. Equatorial Guinea is committed to improving its relationships with the international community and continues to make significant progress strengthening foreign relations. Equatorial Guinea's (Republica de Guinea Ecuatorial) Secretary of State for Consular Affairs and Cultural Rights, Esperanza Gertrudis Davies Eiso met with Ambassador Manuel Gomez-Acebo Rodriguez-Spiteri of Spain to discuss bilateral relations between Spain and Equatorial Guinea. The two parties addressed current law and cooperation in regard to immigration as well as the current guidelines for granting visas for citizens from both countries. The need to exchange information and undertake actions of awareness and flexibility was also discussed. The meeting between the Secretary of State and the Ambassador was part of a broader of effort by the government to enhance relations with the international community and initiate global partnerships. Equatorial Guinea's Director General of the Diplomatic Information Office, Domingo Nguema Edu, and the Director General of Consular Affairs, Sinforiano Ela also attended the meeting along with the Second Chief of Embassy, Tada Eizaguirre Bastida. The United Nations Environment Programme (UNEP) and the Convention on Migratory Species of Wild Animals (CMS) recently welcomed the Republic of Equatorial Guinea (Republica de Guinea Ecuatorial) as a member of CMS. Equatorial Guinea will be the 114th Party to the Convention starting August 1, 2010. Equatorial Guinea has a rich environment with a variety of precious wild animal species and bio-geographical regions. The country possesses a high degree of biological diversity, complex vegetation zones, and water sources, making the country a natural fit for CMS, whose mission is to conserve terrestrial, marine and avian migratory species. As part of its effort to conserve these species and their habitats, Equatorial Guinea is a member of several relevant treaties and conventions, such as the Convention on Biological Diversity, the UN Framework Convention on Climate Change and the International Tropical Timber Organization. It is also an active member of the Inter-African Association of Forest Industries (Association IFIA). Equatorial Guinea is looking forward to working with the Convention on Migratory Species of Wild Animals and furthering the country's preservation and conservation efforts. The vice president of the National University of Equatorial Guinea or UNGE (Universidad Nacional de Guinea Ecuatorial), Manuela Roca, recently held a meeting with the Director of Services of the General Secretariat of Las Palmas University from Gran Canaria, Spain, Dina Malo Molina, along with Sabayo Clemente Gonzalez, Director of Services, to discuss improvement opportunities and ways to further education. After the meeting and a press conference, officials from both universities explained that their goal is to further look into the development of agreements between the academic institutions, based on the exchange of students and strengthening pedagogical matters. This is part of a broader effort by the government of Equatorial Guinea (Republica de Guinea Ecuatorial) to further improve its education. Manuela Roca told reporters the positive contribution Las Palmas University can make to the UNGE on the development of new approaches in teaching. Additionally, the meeting served to expose the UNGE to the opportunity and benefits of participating in the Third International Workshop of African Universities to be held on September 10th -14th in Las Palmas of Gran Canaria. Equatorial Guinea's university officials looked at this proposal with great interest. The meeting was also attended by other officials and teachers of the UNGE. The Republic of Equatorial Guinea (Republica de Guinea Ecuatorial, along with the United Nations Population Fund (UNFPA), is working to strengthen and equip health facilities throughout the country to boost access to reproductive health services. The rebuilding process includes the construction and renovation of health centers and maternity units as well as proper training for medical students. "As part of our partnerships with the international community, we are sending our medical students to countries like Mali to study obstetrics, and to other countries, like Germany, Spain and Cuba to receive advanced medical training," Francisco-Pascual Obama Asue, Equatorial Guinea's Minister of Health and Social Welfare said in an interview. A video of Minister Obama Asue's interview. This exchange program was set up to address the rising concern of fistula and cervical cancer. To further address the issue, a campaign was launched by the First Lady to encourage women to receive proper care and early screening for cervical cancer. The campaign was immensely successful and led to the surgical intervention of fistula cases. Because of this, informational tools on fistula are now integrated into the minimum health care package. "Today, we are just starting to develop our medical training and capacity, but we are working every day to build up our resources and improve our skills. I think that by 2020, Equatorial Guinea will not be completely rid of all its obstacles, but my hope as Minister of Health is that we have medical facilities and conditions that meet the needs of our people and to have acceptable health centers and sanitary conditions," Minister Francisco-Pasual Obama Asue said. Equatorial Guinea is committed to the health and well being of its people and continues to make significant investments to ensure critical health issues are addressed. "Ultimately, our goal is to provide access to health care for all, fully funded by our government." As part of Equatorial Guinea's (Republica de Guinea Ecuatorial) efforts to advance its relations with the international community, an Equatorial Guinea Delegation, led by the Minister of Foreign Affairs Pastor Micha Ondo Bile, made an official visit to Egypt on June 10-12th. Pastor Micha Ondo Bile was accompanied by the Minister of Information, Culture and Tourism, Jeronimo Osa Osa Ecoro and the Minister of National Security, Nicolas Obama Nchama. The Minister of Foreign Affairs and his Egyptian counterpart signed several agreements which included the establishment of a joint committee for the cooperation in culture, science and economics between the two countries. This is part of a broader effort by the government of Equatorial Guinea to further improve its relations with the international community. The parties established a joint strategy for cooperation between the two countries. Relations between Egypt and Equatorial Guinea have evolved significantly in recent years, which has encouraged more engagement between the two countries. Egyptian companies such as Arab Contractors are overseeing large infrastructure projects in Equatorial Guinea, such as the construction of a running water system in Malabo, new roads from Malabo to Pico Basile, other infrastructure projects in Baney and subsidized housing in Buena Esperanza and in Malabo. The progress of the relationship between the two countries was highlighted in a recent hearing held by Ondo Bile with the Egyptian Ambassador to Equatorial Guinea, Ibrahim Maher Yousiff, in which the Equatorial Guinean diplomat praised the advancement between the countries. The meeting also addressed the trading situation between the two nations. The Government of Equatorial Guinea is also seeking Egypt's support for the organization of the African Union Summit to be held in Equatorial Guinea in 2011. Equatorial Guinea (Republica de Guinea Ecuatorial) is advancing its public health services with an ultramodern hospital in Bata, the country's most populous city. One of the most sophisticated hospitals in West Africa, La Paz Medical Center operates in complete compliance with international standards and employs highly advanced technology systems. "The people of Equatorial Guinea are being served well by this modern medical facility," said Minister of Health and Social Welfare Francisco-Pascual Obama Asue. "La Paz hospital is just one of the many investments the government of Equatorial Guinea has made in recent years to promote improved public health. There are numerous hospitals being constructed all throughout the country." With this state of the art hospital, Equatorial Guinea will be able to provide high quality health services throughout the country and region. It is also just one of several modern hospitals and medical facilities being constructed in Equatorial Guinea as a part of the government's investment in public health. "The opposition to this prize is not because the award is not positive, it's simply because the international community does not want to advocate on behalf of 'President Obiang Nguema of Equatorial Guinea.' But they have no reason to oppose the prize. We created the award with the goal of preserving human life. We have allocated significant funding for this prize in order for scientists to conduct studies and so they have the resources they need to find cures -- for the health and well-being of people everywhere, including in Equatorial Guinea. The Government of Equatorial Guinea understands that it is far from perfect and that it still has a great deal of work to do to further improve the lives of its people. The UNESCO prize is a part of that work." A video of some of President Obiang's comments. Equatorial Guinea, which up until the late 1990s, was one of the poorest nations in Africa, is currently investing the wealth derived from its recently-discovered natural resources in its infrastructure and citizenry. This effort includes development projects in health and education, as well as an emphasis on promoting agriculture and tourism as a way to diversify the country's economy. The government is also currently working to update out-dated statistical information about the country and its quality of life indicators. A $250 million contract has been awarded to US-based private security firm Military Professional Resources Initiative (MPRI), an L-3 Communications company, by the Government of Equatorial Guinea to protect the country's vast aquatic resources, according to Vanguard. The contract will establish a network of surveillance sites and operation centers at different points along the country's coast to protect against piracy and other maritime concerns that exist in the region. The Government of Equatorial Guinea recognizes the strategic importance of promoting safety and security in the Gulf of Guinea region -- for stakeholders, multinational oil and gas companies, and surrounding oil producing nations. Over the last two years, 12 attacks have occurred off the coast of West and Central Africa, resulting in abductions, loss of life, and a surmounting threat to the peace and stability of the Gulf of Guinea nations. Attacks in the Gulf of Guinea are not on the scale of those in the Gulf of Aden and Indian Ocean, but the region is becoming increasingly important because of its energy reserves. Equatorial Guinea has a number of partnerships with American businesses, and it has a long-standing relationship with MPRI, which they previously contracted to conduct extensive best practice training with the country's police and security forces. The current contract with MPRI is part of Equatorial Guinea's Maritime Security Enhancement Program and is designed to provide nationwide coastal surveillance coverage and long-term stability for the entire region. It is a part of Equatorial Guinea's commitment to contributing to the positive development of its part of West Africa. MPRI is set to operate the site for three years, followed by another two years of sustenance and maintenance support. Where can I travel in Equatorial Guinea? Do you at times wish that the world would just open up and swallow you whole because you don't seem to get anytime to rest from the work load at hand? Then shove everything away and escape to the quiet Spanish-speaking country of Equatorial Guinea. Equatorial Guinea is located in Central Africa, her capital city being Malabo, the official languages spoken here are Spanish, French and Portuguese. The population is estimated to be half a million. This is a country of luscious vegetation and beautiful scenery including tropical forests and snow-capped volcanoes. The capital, Malabo, is a rather rundown but attractive town, with pleasant Spanish colonial architecture, a striking volcanic setting and a lively market. The white-sand beaches around the islands are stunning. No wonder the country was at first named 'Formosa', by the Portuguese which meaning 'beautiful'. There are some superb night clubs situated in Equatorial Guinea that offer the best live entertainment ever. They include the Chez Son Père, the Cinéma Cartier, the Galerie Rouje, the Kiosque Edwin-Bélanger, and the L'Alterno, the L'Amour Sorcier, the Largo Resto-Club, and the Maurice night club. Especially if you are a fan of theaters, drop by at the Théâtre Periscope where you can see superb, creative and cutting edge contemporary theatre productions predominantly in French. It's obvious that after you land at the major airport in Equatorial Guinea, you need to find a hotel which is not only ready to offer you the best service and the most luxurious extras available, but also one where you can simply unpack and unwind without having to even go outside if you don't want to. Some of these fine hotels include the Hotel Yoli, the Hotel Bahia Malabo, the Hotel Impala, the Hotel Bantu, the Hotel Ureca, the Hotel Candy, and the Sofitel Malabo hotel. To make your stay even more enjoyable, these hotels will also offer some of the exquisite African cuisines that are very simple and really tasty. So, sit down and enjoy two of the most popular dishes in the country; chicken dish prepared in peanut butter or cream sauce and served with rice or boiled plantain, and meat or fish grilled with crushed pumpkin seeds and wrapped in huge leaves. You won't resist these! Many restaurants in the major capital city offer both local dishes and Western cuisines. Some of the local cuisines include djomba (a Combe dish), mendjaa (a Fang dish), banga soup and the bitalif soup. To go along with these dishes are some of the most popular fruits like pineapples, African apples, avocados, papayas, green-skinned oranges and many more. Don't be worried as to how you will get around this lovely country as the roads are of good infrastructure to ease the traffic congestion. 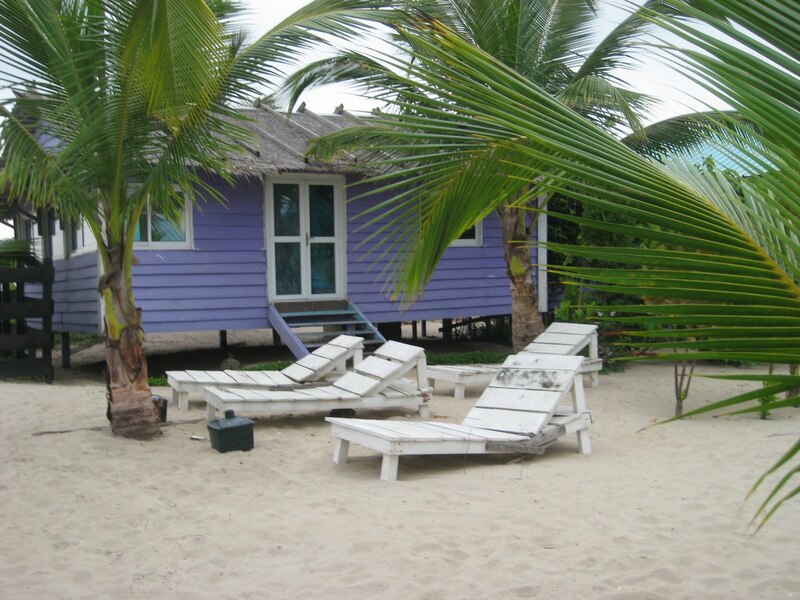 There are also car hire facilities for those who prefer to move around in sheer comfort and privacy. There are various things that you can do while you enjoy your stay in Equatorial Guinea. You can bask on Arena Blanca, the only white beach on Bioko Island during the dry season, and witness thousands of butterflies in migration. Or you can take a trip to Bata, the principle town in the region of Rio Muni on the mainland. It is a lively town with a few restaurants, bars, hotels and markets. Try and make a point of traveling to Equatorial Guinea for the 2012 African Cup of Nations. Have less trouble and stress but more fun and relaxation in the beautiful land of Equatorial Guinea. You will fall in love with it! Equatorial Guinea's (Republica de Guinea Ecuatorial) Minister of Education, Science, and Sports, Filiberto Ntutumu Nguema congratulated Matinga Ragatz—a native-born Equatorial Guinean and resident of the State of Michigan—for being named the 2010-11 Michigan "Teacher of the Year." "We are very proud of Ms. Ragatz, one of our own, for her achievements in the field of teaching and for earning this prestigious award in the United States," said Minister Nguema. "Matinga is leading by example. Her innovative spirit and contributions, both to her students in the United States and in Equatorial Guinea, are to be commended and praised. She is making an impact in the lives of youth in both countries that shall pay great dividends as these students move toward advanced studies and eventually join the workforce." Since 1993, Ragatz has taught world history and global studies at Grand Ledge High School, in Grand Ledge, Michigan. She was selected from 20 regional semifinalists for her advanced methods of teaching, focused on the use of technology and producing better outcomes for her students. Michigan has nearly 100,000 teachers and only 300 were selected to compete for this award. Grand Ledge High School will receive a monetary award of $1,000 in honor of Ragatz's recognition. Ragatz travels frequently to Equatorial Guinea, where she is working on various education projects, in particular, foreign language education, and is working on a proposal to open a teaching center for students who want to learn English in the capital of Malabo. She is also the daughter of author and university professor, Morgades Trinidad, the first woman from Equatorial Guinea to earn a college degree. The government of Equatorial Guinea has made education and improving healthcare systems two priorities and goals of the "Horizon 2020" development plan, which was set in motion by President Obiang to move the country toward a sustainable and emergent economy. The opening of new schools and training of new teachers are just some of the activities undertaken under this plan. 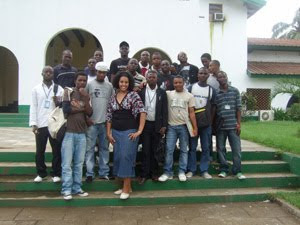 Since beginning the large-scale export of oil from Equatorial Guinea, and in cooperation with international organizations, Equatorial Guinea opened its first national university, the National University of Equatorial Guinea, and graduated more than 13,000 students since its founding in 1995. The level of education in Equatorial Guinea is improving as well as the number of matriculations.